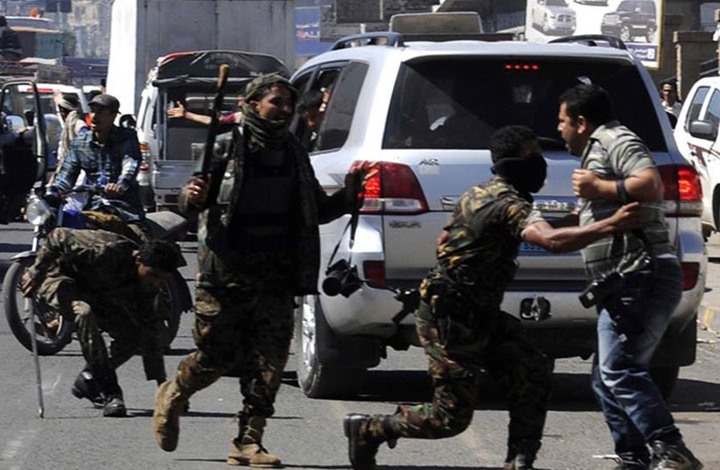 The Yemeni Journalists Syndicate monitored 226 cases of violations of press freedom during 2018. The infringements of rights affected journalists, photojournalists, dozens of newspapers, websites, media sites and journalists’ properties. Violations varied among kidnappings, arrests, blocking of websites, attacks, threats and incitement campaigns. Houthi militia committed 60% of the total violations with 136 cases; local, security and military bodies and legal government committed 30% with 68 violations; the Saudi-led coalition committed 5% with 11 cases; anonymous actors committed 4% with 9 cases; and the Southern Movement committed 1% with 2 cases.